The José Thenée Collection – Write with us! When approached to carry a newly created lined of wall sheets I was intrigued. Not just by the concept but by the content. 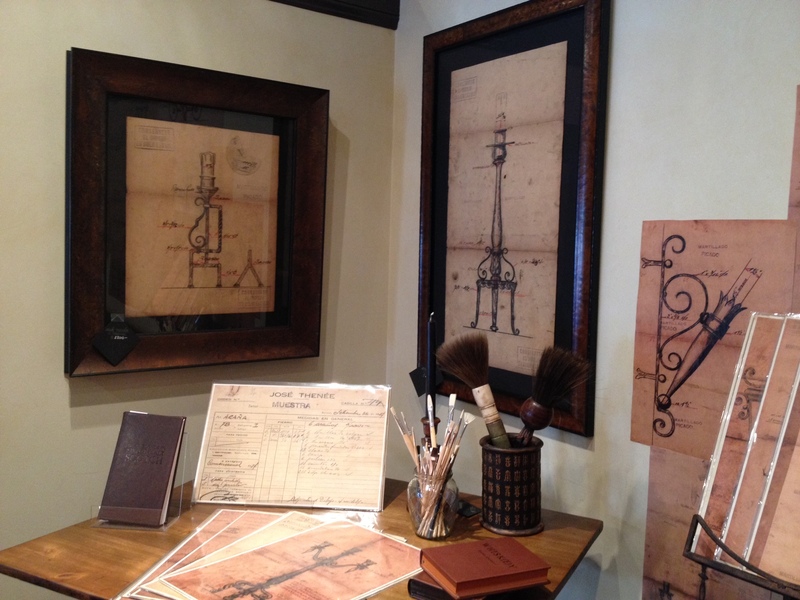 The wall sheets are handmade replicas of the sketches and pencil drawings of José Thenée of Argentina, arguably the best blacksmith in the world during the 1920’s. His creations of lanterns and candelabras adorn embassies, government buildings, churches and private mansions all over Buenos Aires. 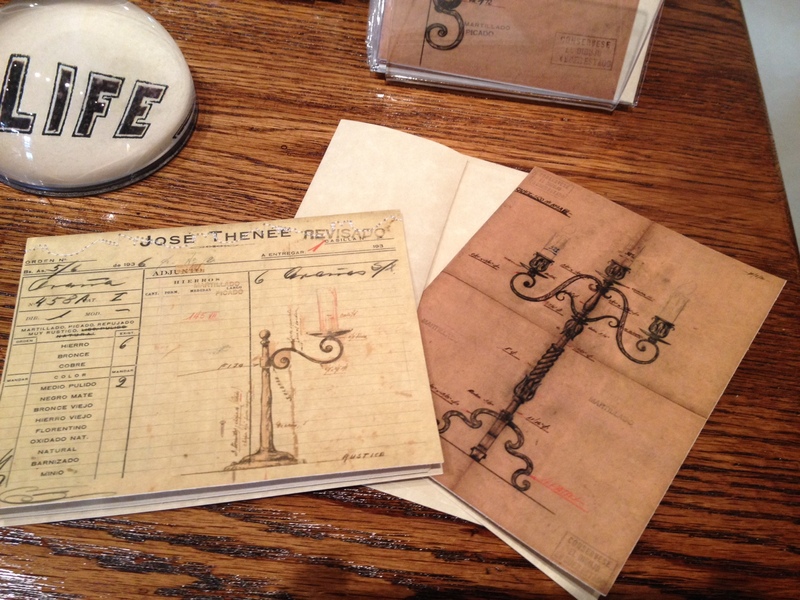 Now you can get a little bit of José Thenée right here in Barrington. The wall sheets are made by hand, one at a time, to preserve the look and feel of the original art work. Using your own creative energy the sheets come together to form a visually interesting wall display of art. Over 50 different pieces of José Thenée’s work are included in the wall display package so you can customize your design to fit your own space. We did. Now all I need is that bottle of Nicolas Granata Malbec (2007) distributed by my friends at Branwar Wines in Texas to finish the mood. The José Thenée collection also includes select 11X17 sheets for individual framing, notelettes for jotting notes and of course note cards. 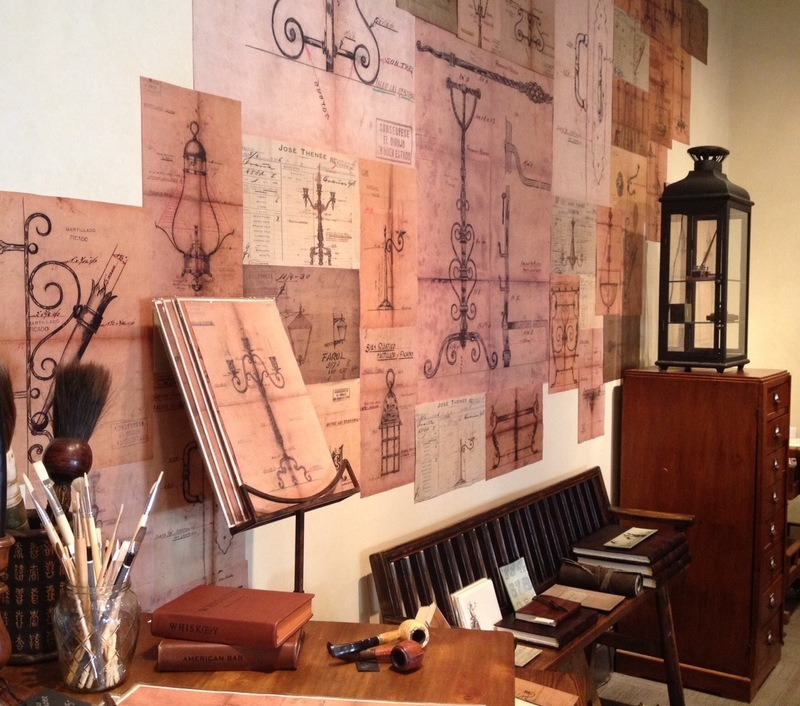 Those with an appreciation for architecture, pencil sketching and anything paper will love this collection. 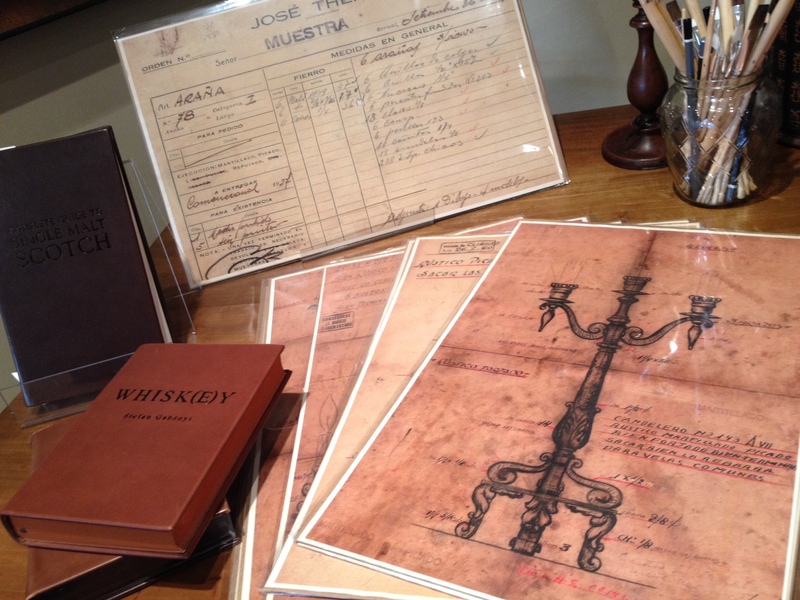 Original pieces of José Thenée, framed and ready to hang in your home or office. Hi! My grandfather worked with José Thenée. I am from Bernal, Buenos Aires and am interested in knowing where you got those drawings. Do you have Thenée’s pictures as well? Do you know where can I get his pictures? Thanks!